Caviar serum Ocean Breeze is suitable for both face and neck. Ocean Breeze Serum extra-firms the skin anti-wrinkle & rejuvenates the face and neck. Ocean Breeze introduces the world's first squeeze-activated caviar essence using exclusive pump release technology to lock every secret of youth. Contact Ocean Breeze Australia and get more information of our products and our techonologies. Ocean Breeze research team includes top professors, doctors and registered pharmacists and doctors in the Australian medical field. 30ml. Made in Australia. Vital Caviar Serum will re-vitalize collagen, provide skin with a lifting effect, increase firmness & improve overall appearance. 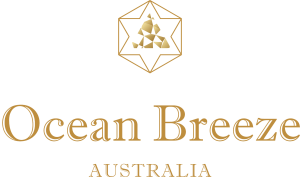 Check out Ocean Breeze Australia beauty products. Our products use the world’s leading cutting-edge biotechnology. Shop Online Today!